Selling your used car shouldn’t be a hassle, no matter the condition, age, or payoff. We’ll purchase your car or truck quickly and without all the confusing paperwork. Don’t let the distance keep you from getting the best price for your vehicle – we offer a free Uber ride home to any customer within 50 miles of our Voorhees NJ location. 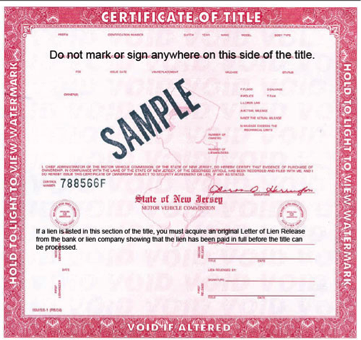 Learn why we’re the best way to sell your car in New Jersey. We Dont charge any fees to sell your car! You can contact us by calling (856) 834-5558 or by filling in our contact form. Our team will contact you personally to answer any additional questions you might have, as well as generate a quote for your vehicle. Bring your vehicle to our offices in Voorhees, New Jersey or take advantage of our free towing and pickup services for vehicles too damaged to start or in non-running condition. Our buying process is quick and you will be out the door with a check within 20 minutes. We also purchased financed vehicles and pay you the balance directly. Come see why we have been New Jersey’s #1 independent car buying agency for the last 35 years. Take a moment to see what our satisfied customers had to say about us. "Sold my Buick to them for a fair price….was sad about selling it after 17 years but it was time to go…Thanks for the assistance." "Very refreshing to be dealing with someone who keeps you in the loop throughout the whole process. Keep up the good work We Buy All Cars." "We found them to be not only fair but very knowledgeable. I will use this service again in the future." "No hassle and easy…had check quickly and I was on my way to the bank."